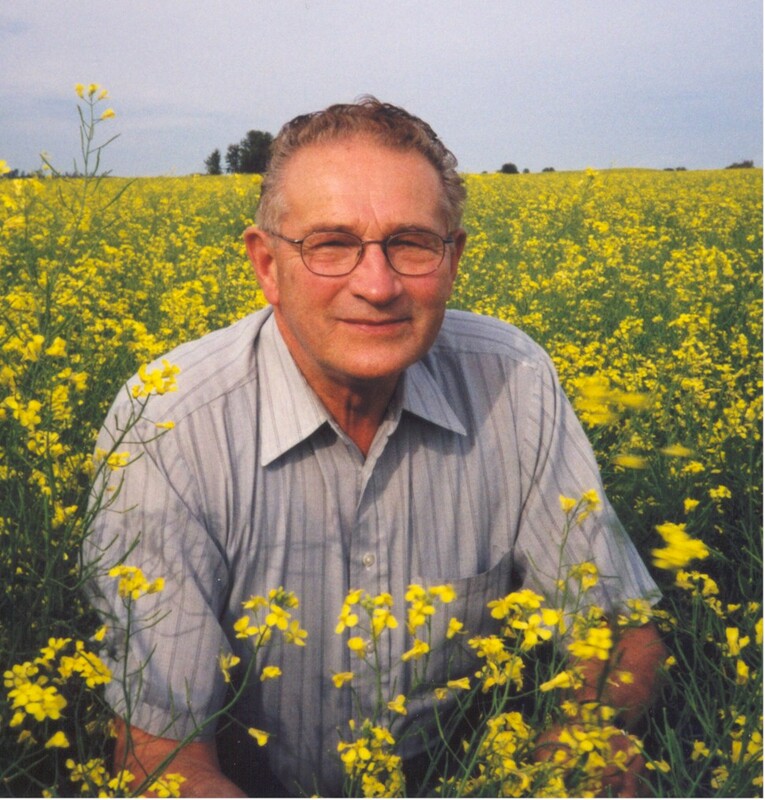 A hero to millions throughout Canada and around the world, Saskatchewan farmer Percy Schmeiser is best known for his fight against multinational corporation Monsanto, which began in the mid-1990s. That battle led to Schmeiser being one of the leaders in the struggle against genetically modified organisms, a subject he spoke about as the keynote lecturer at last weekend’s Seeds for Change Conference, presented by Cowichan Green Community. “I think now we have more problems than we have answers for in Canada,” Schmeiser said about gene patent issues. Because of GMOs, Schmeiser explained, such key Canadian cash crops as canola and flax can no longer be sold in the European Union. “There is no pure canola left in Canada,” he said, adding that Europeans stopped buying Canadian flax in September of 2009. The European market previously purchased 80 per cent of Canada’s flax production. Schmeiser shared the story of a variety of GMP flax developed at the University of Saskatchewan in 2001. All samples of the organism were ordered destroyed, but not before a scientist had delivered small packages of seeds to high schools in northern Saskatchewan, not telling the students they were planting a GMO. There was a massive recall, but not all the seeds came back. The pollution of Canada’s flax crop by GMOs led to massive distrust in Europe. “You can see the reputation we’re getting in the world with our products being contaminated by GMOs,” said Schmeiser. Schmeiser also spoke about the “terminator gene,” which can be activated by a chemical of the manufacturer’s choice to render a seed sterile. Although plants with the gene are sterile, they can cross-pollinate with other plants, rendering them sterile as well. “This is the greatest assault on life we’ve ever seen on this planet,” said Schmeiser, explaining that as a result, farmers would be forced to buy seed from a manufacturer year after year, rather than saving seed from previous crops. Similar to the terminator gene is the “cheater gene,” which makes a plant unable to produce seed without having a certain chemical sprayed on it. “This is what it’s all about with GMOs, is to get control of all the world’s seed and food supply,” said Schmeiser. By creating GMOs, corporations are taking away the rights of both farmers and consumers, who can no longer be sure what is in their food. Most countries in Europe require labelling of products containing GMOs, while Canada does not have such a requirement. Pregnant women and children, in particular, have been cautioned not to eat GMOs. “If we had labeling in Canada, it would kill the GMO industry tomorrow,” said Schmeiser. Schmeiser noted that GMOs are causing more chemicals to be used on crops, contaminating the environment, and causing the disappearance of heritage and indigenous seeds. When the first four GMO crops were introduced to Canada and the United States simultaneously in 1996, they were promoted as a way to improve yields and help end world hunger. This is not the case, said Schmeiser. This entry was posted in Big Agribiz, Bioweapons, Crime & Corruption, Depopulation, Disasters, Environment, Eugenics, Food Safety, Genetic Engineering, Health & Fitness, Resistance. Bookmark the permalink.